I contacted Ben after I had my first experience of playing a Grotrain-Steinweg piano. It was very exciting to meet someone with such passion for and in depth knowledge of these wonderful pianos. The potential for singing lines, depth and warmth of tone and ability to easily allow natural shaping of musical sounds stood out to me immediately Grotrain playing experience. 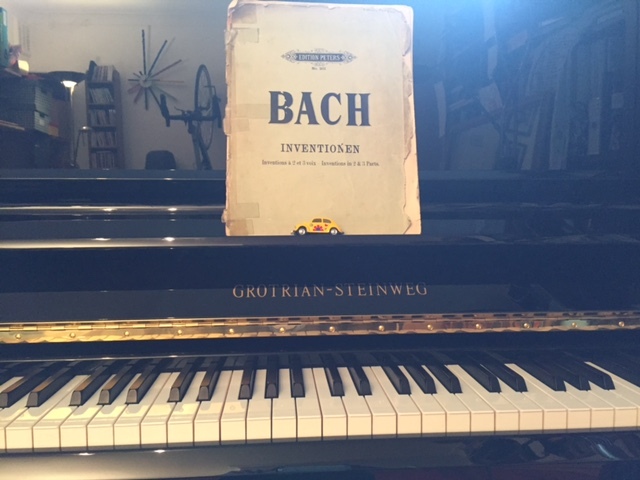 I am happy to say that I am now the proud owner of a Grotrian-Steinweg Classic upright, thanks to dealing with Ben. My visits to his showroom were a fun and interesting experience at every turn. I was always happy to be on the M4 driving out of London for a bit of time in the countryside, away from the demands of city life. I loved driving down the little winding country lanes and seeing the barns and cottages along the way. I was delighted at his instruction to “turn in where you see the Highland Coos”. Having grown up in Scotland with many such creatures around, it felt like a bit of a homecoming for me. Ben was very trusting in leaving me alone for evenings at a time in his piano filled barn, allowing me to indulge in my enthusiastic but somewhat elementary piano tinklings to my heart’s desire. As a professional cellist and double bass player, I have always been fascinated and inspired by good quality instruments, and I am known for my meticulous and uncompromising approach to instrument selection, both for myself, and for my many students whom I regularly have to advise on instrument purchase. I am interested in instruments, and in how quality of sound is achieved and maintained. I felt unable to compromise for anything less than the best when it came to buying a piano, hopefully a once in a lifetime project for me, and I feel that I have achieved the acquisition of an instrument of real quality within this sphere, which fits my needs ideally. Some evenings I would leave Ben’s piano barn in the midst of pounding rain and thunderstorms, late into the evening, having time to reflect upon the instruments I had met, and how they might fit into my life, whilst driving through these conditions down the country lanes. The whole process of being met with such a friendly, welcoming and knowledgeable reception at every turn, but also being left to get on with it for myself, with a high level of trust, was important for me in reaching my decision and making the final commitment. It also helped in arranging a generous personal loan to enable the purchase that I was able to exchange photos of Highland Coos with my anonymous Scottish sponsor! Good instruments, good music, countryside and fun driving experiences are some of the things I enjoy most in life. Through dealing with Ben, I was able to find a happily sublime combination of all of these. I am happy to have made a commitment to such an instrument of quality, both for myself, and for all of my home cello students who will now benefit from growing up with the sound of this instrument supporting their playing from the earliest stages in their paths of development as musicians in my home. As a child, playing the cello accompanied by my dad, a wonderful improvising pianist, was one of my most important formative experiences as a young musician. I want the children in my care to have something of a similar experience available to them, and now I know that I can give this to them. As a young child, I grew up hearing the piano played by my father, often as he accompanied my mother, a singer, in preparation for their recitals all around Scotland, covering a range of musical styles including opera, Scots traditional and Scots art songs, comedy songs and songs from the shows. The house was constantly alive and filled with music. My bedroom was directly above the music room, and so I went to sleep with all of this seeping into my head and heart on a regular basis. I truly believe that a piano helps to make a house a home. I am delighted that this piano can now be part of the fabric of my home. Thank you Ben for helping to make this possible for us all!